Throwboy captures the digital lifestyle in throw pillows. Roberto Hoyos, the company founder, didn’t realize he had a genius business in his sights when one Christmas he made his then-girlfriend her gift, sewn-by-hand throw pillows of Mac desktop icons. Hoyos, who learned sewing from his grandmother, got inundated with requests after she wrote a blog post about the pillows. By 2007, he was a one-man pillow factory in Seattle. The company grew, and now his pillows and plush toys of emoji — even the smiling pile of poo — and other iconic tech symbols get sold all over the world. You can still find the Mac finder icon on the website, but the Apple hat is Throwboy’s newest product. The hat echoes a sentiment by many Apple fans, who feel the company has lost its innovation mojo, especially since the 2011 passing of co-founder Steve Jobs. “Seeing as many people, including myself, have been talking about Apple’s future and if they may be focused on the consumer over the pro, I made this design as a laugh but to also keep the discussion open,” Hoyos told Cult of Mac. Remember the days when their products surprised you, excited you and held a special place in your heart? Remember when the keynotes were dynamic, genuinely funny and full of showstoppers? Throwboy remembers. And like you, we’ve been asking ourselves “what are they doing” time and time again. We know the present is going great, but we want the future to be insanely great. 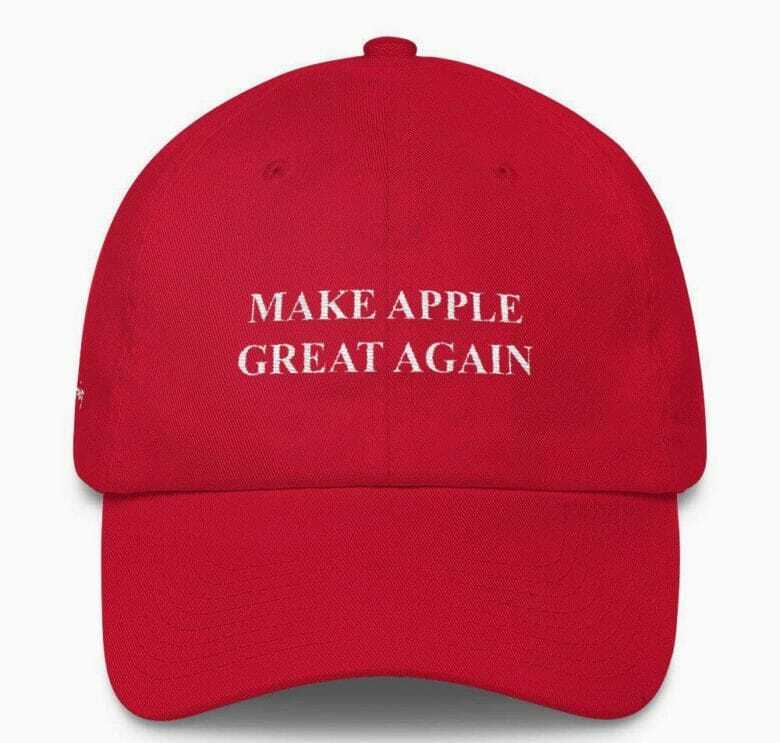 Voice your opinion along with the rest of us and let’s motivate them to Make Apple Great Again.